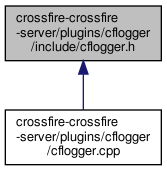 #define PLUGIN_VERSION "Sqlite Logger Plugin 1.0 alpha"
Definition at line 49 of file cflogger.h. Name of the plugin as known by the server. Definition at line 32 of file cflogger.h. Definition at line 34 of file cflogger.h.